Barb Springer’s passions led her to Ride 2 Recovery (R2R). She was a marathon runner, was the head of multiple military physical service centers and served for 24 years in the U.S. Army. When nearing her retirement, the founder of R2R approached her at the Warrior Games and asked if she would work for the R2R program. And although she wasn’t a cyclist and was still on active duty, she said “yes.” She finished her service on June 30, 2011 and started her new job with R2R on August 1. She hasn’t looked back since. Springer also developed Project HEROhttps://ride2recovery.com/page.php?ID=9 (Healing Exercise Rehabilitation Opportunity), a program that creates R2R programs at military hospitals, Army Warrior Transition Units, Marine Wounded Warrior United and other VA locations. 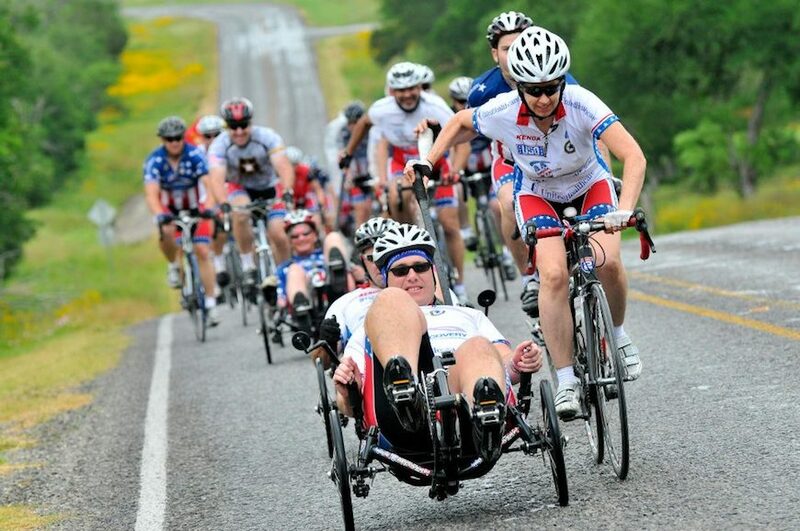 The project has grown to 37 locations around the world and acts as a training program for injured service members, viewing cycling as an important part of recovery, both mentally and physically. Sponsors and the Department of Defense help fund Project HERO, assisting in purchases of specially designed adapted bikes and providing coaching for the individuals. Springer’s next ride is the Great Lakes Challenge, which begins in Chicago on August 24 and finishes in Detroit on August 29. She’ll be riding her Raleigh Revenio.